Our Year 11 students will be heading off for the Easter break to get down to some serious revising for exam season, but the school is already celebrating great success in the Maths GCSEs taken in January of this year. 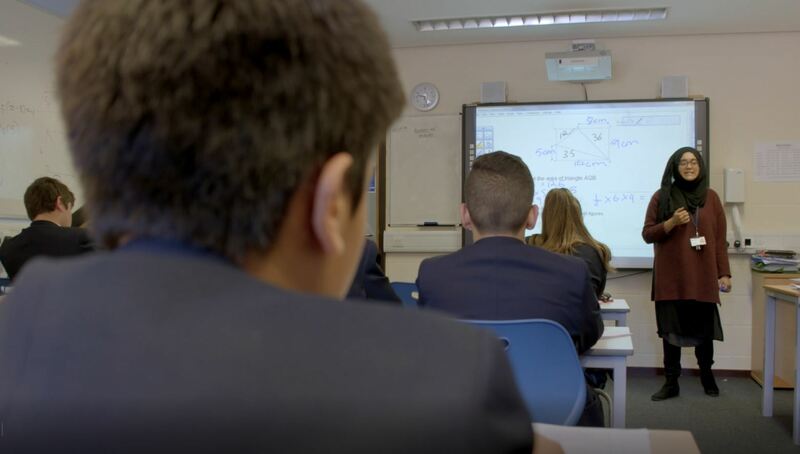 Of the 105 students who sat their Maths GCSE in January, over a third achieved the equivalent of an A or A* (7+) and 88% gained a C or above equivalent (4+). January entry for Maths was introduced by LVS Ascot three years ago, allowing students to focus solely on their Maths exam at that time and easing their revision schedule in the spring by giving them more time on other subjects. Drop-in sessions every day and evening from November to January allowed students to hone their skills as teachers put in additional time to help ensure success. Whilst the country’s politicians are still trying to agree a way forward from the public Brexit vote nearly three years ago, students and teachers at LVS Ascot have been embracing democracy with an exciting project that put power into the hands of pupils for the first time. An enriching day of learning about culture and customs across the world took place at school on Friday 15th March as students from many different nations took the lead in helping to educate their peers and foster integration. Pupils as young as four enjoyed a special themed timetable as parents and teachers came together to inspire them at our Learning Power Week from Monday 11th to Friday 15th February. 235 young musicians from around Berkshire, Surrey, West London and beyond flocked to our school to take part in the 5th annual LVS Ascot Music Festival. Our pupils have taken on the role of educating the local community by teaming up with Thames Valley Police to produce their latest crime prevention campaign. Pupils of all ages from LVS Ascot Infant & Junior School have been spreading Christmas cheer in the local community by involving senior citizens in their seasonal celebrations. Our school commemorated the 100th year anniversary of the end of the First World War as all students from ages 4 to 18 created a ceramic poppy for an art installation in the school grounds. Almost 350 girls from around the country descended on LVS Ascot on Tuesday 9th October as the school hosted the ISA Girls Football Festival. LVS Ascot students have been enjoying new facilities available to them at lunchtimes after a major £820,000 refurbishment of the dining hall.